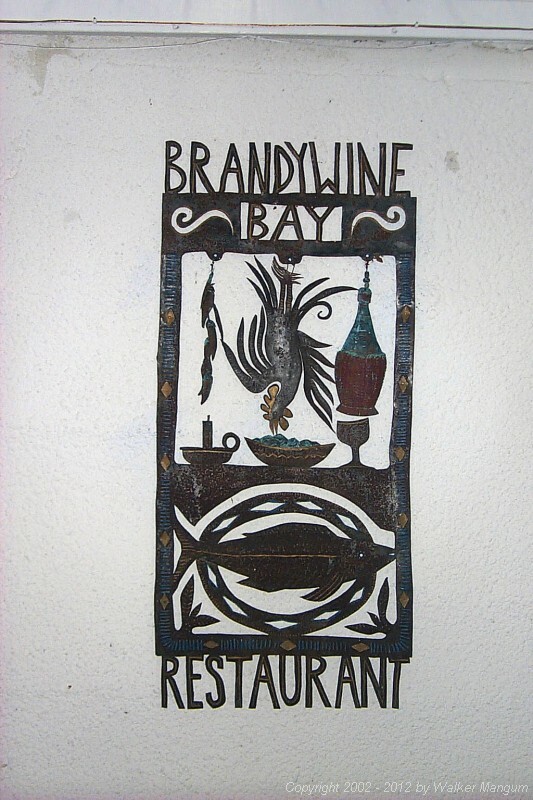 Our dinner on the last night of this trip to the BVI was at Brandywine Bay Restaurant. This piece of art work by Aragorn, made from an old metal refrigerator door, was one of Aragorn's first pieces. The restaurant's logo was taken from this piece. In our opinion Brandywine Bay, in its beautiful and romantic setting with sweeping views of the Sir Francis Drake Channel islands, is the finest restaurant in the BVI. Owners Davide and Cele Pugliese are gracious hosts that provide a remarkable menu of wonderful Tuscan-styled food with a fine selection of wines.